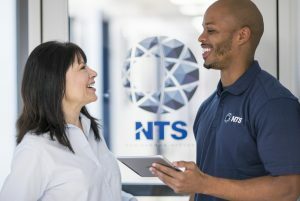 As a leading provider of hail testing for the aerospace industry, NTS must also note the effects hail has within the commercial sector. In the United States alone hail causes over a billion dollars in damage to structures and outdoor equipment. Stones larger than 2 cm (0.80 in) are usually considered large enough to cause damage. 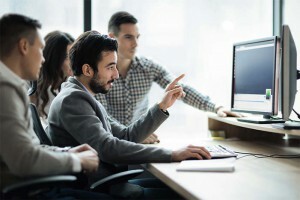 Many manufacturers of items such as roofing, siding, skylights and solar panels must ensure their products can withstand hail impact before going to market. Hail forms predominantly in strong thunderstorm clouds with intense updrafts. Typically these clouds will have high liquid water content, great vertical coverage, large water droplets, and a good portion of the cloud layer below freezing. In this environment a hailstone collides with supercooled water drops and grows, freezing on contact with ice crystals, frozen raindrops, dust or other matter. When the thunderstorm’s updraft can no longer support the weight of the ice or the updraft weakens, hail falls from the sky. 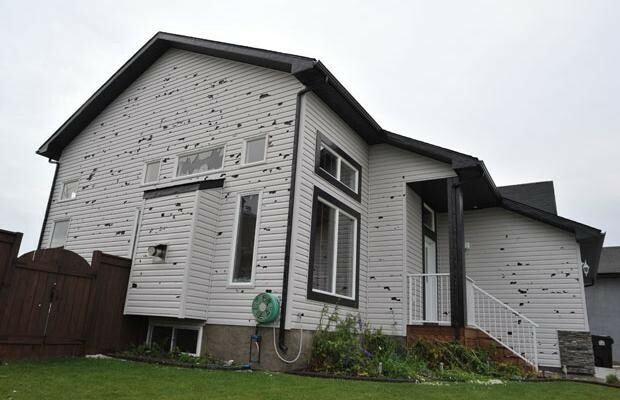 Hail is usually pea-sized to marble-sized, but big thunderstorms can produce larger hail 5 mm (0.2 in) up to more than 15 cm (6 in) in diameter. 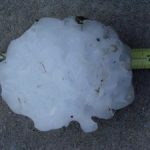 The largest hailstone recovered in the U.S. fell in Vivian, SD on June 23, 2010 with a diameter of 8 inches and a circumference of 18.62 inches, weighing 1 lb 15 oz. “Man-made” hailstones of different diameters. Impacts from these man-made ice spheres have been proven to more accurately represent the damage of natural hail. 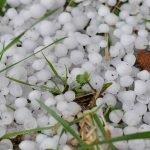 When a hailstone falls, its velocity depends on many factors such as size, air friction, collision with other hailstones or raindrops, wind, and melting. Currently, the formula to calculate terminal velocity is based on using a perfect sphere. As hail stones are not perfect spheres can be difficult to calculate their speed accurately. 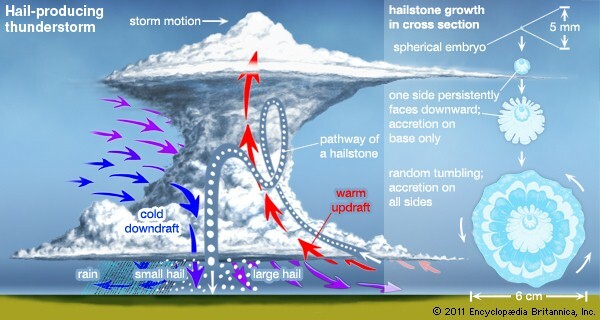 One estimate is that a 1cm hailstone falls at 9 m/s, and an 8cm stone falls at 48 m/s. During the test, components are mounted to a fixture customized by NTS engineers. They are adjusted to the desired angle and subjected to individual hailstone impacts. 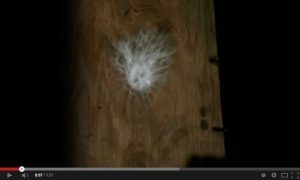 Each impact is recorded using our high speed camera (see video link below). High resolution digital microscopic images are available to examine any post-test damage. NTS can offer impact with hailstones ranging in size from 10mm up to 50.8mm. Click here for short video on NTS hail testing!